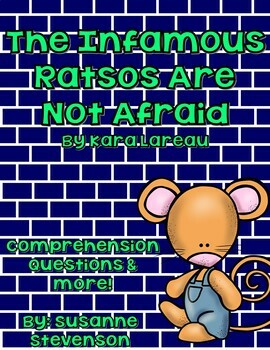 This packet contains comprehension questions to accompany the book "The Infamous Ratsos Are Not Afraid" by Kara Lareau. 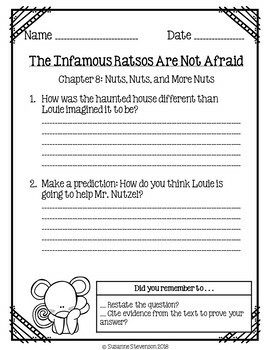 There are two comprehension questions per chapter for students to answer. 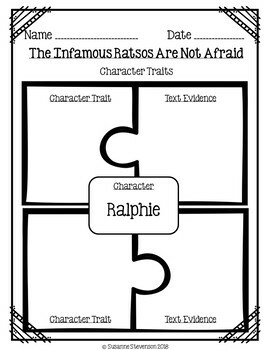 There are also character webs to determine character traits, as well as a summary organizer. 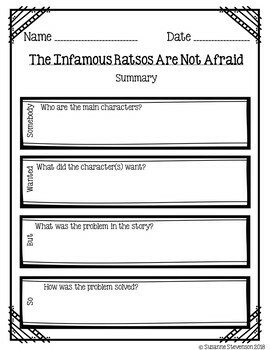 This is great for use in an independent reading center or in literature circles! Simply print and go!